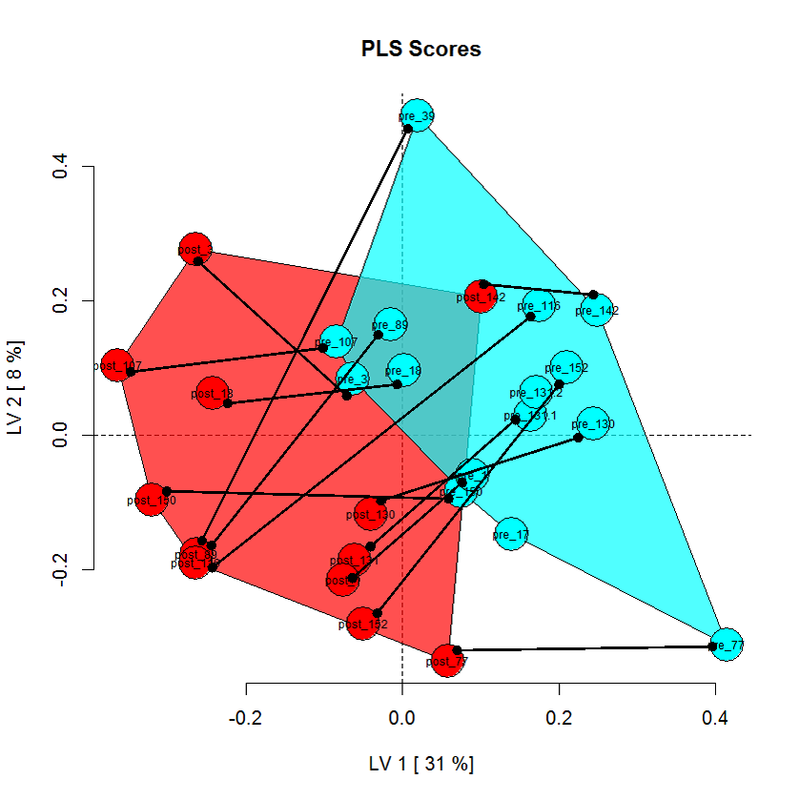 PLS-DA sample scores for a discrimination model identifying multivariate changes in metabolomic measurements before (pre) or after (post) some experimental manipulation. Based on scores plot for samples given changes in >300 biological parameters; it looks like there are two patterns of samples movement through this principal predictive plane. 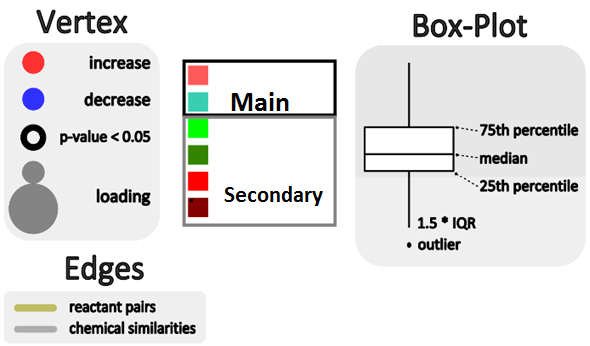 Few move in the direction capturing the most variance in data matrix or (x-axis, 31%), but the majority show an interaction between x and y (the second dimension explaining only 8%). Also, the most pre or before looking samples in the first dimension (142 and 77, note farthest right) are the least changed post or after the experimental treatment.